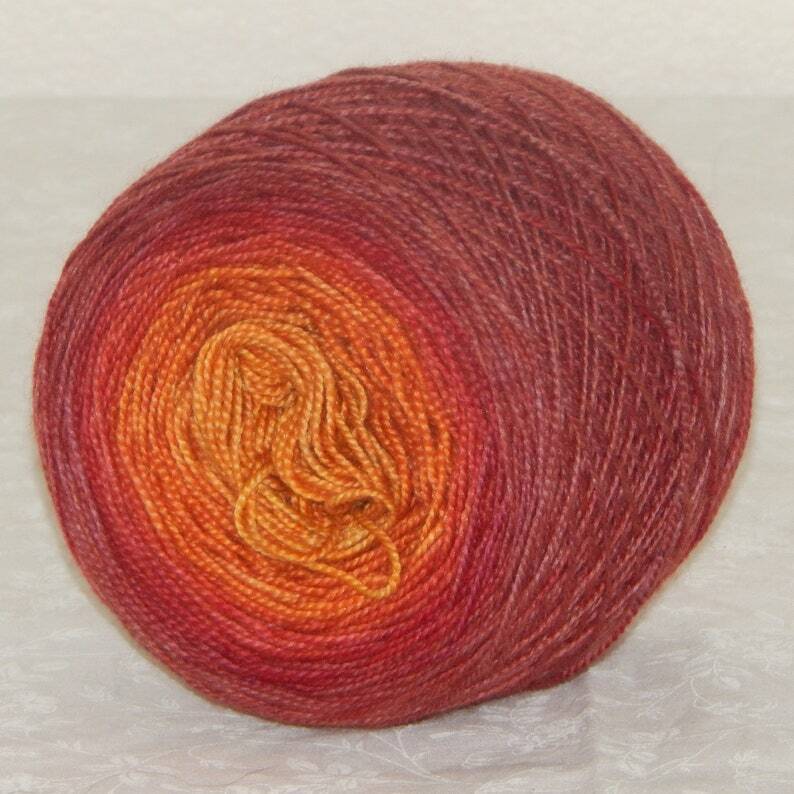 This stunning hand dyed one of a kind gradient yarn is gold, orange and red. Each color is a complex compilation of several colors lending depth and interest to this yarn. There are a couple of tiny spots of blue in the gold section, so this is a second and is being sold at a discount.